In today’s competitive environment for talent, effective communication is crucial for showcasing human resource programs in a way that will help attract, retain and engage key talent. 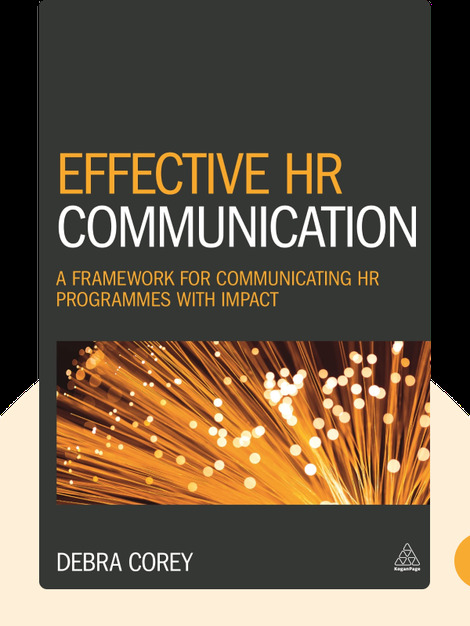 Whether introducing new HR programs or re-launching existing ones, the IMPACT communication model presented in these blinks will help deliver your messages so that employees understand, appreciate and take action on them. 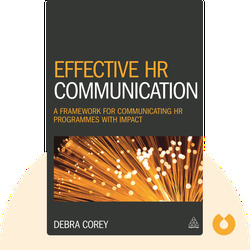 Debra Corey is an award-winning global HR director and communication specialist with 30 years of experience. She has launched outstanding communications for companies such as Gap, Honeywell, Merlin Entertainments and Reward Gateway, and is also a sought-after instructor and speaker on the topic of communication and human resources.